Dark chocolate. Black fruits, vanilla. Rich and complex. After processing, hulling machinery removes the parchment layer from the wet processed coffee. Optionally, they will be polished: any silver skin that remains on the beans is removed by machine. Traditionally, polished beans are considered superior to unpolished ones, but ultimately there is little difference between them. Grading and sorting is then done by size and weight, and the beans are carefully reviewed for imperfections or colour flaws. The beans are sized by being passed through a series of screens, and sorted pneumatically using an air jet to separate heavy and light beans. Finally, defective beans are removed either by hand, or by machinery. Any beans that are unsatisfactory due to deficiencies (size or colour, over-fermented beans, insect-damaged, or unhulled) are removed. 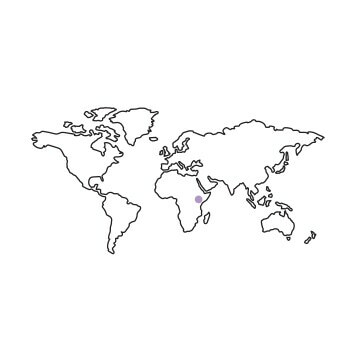 Coffee in Kenya is graded according to the size of the bean and the quality. The definition clearly defines the size, and to some extent, they also assume the quality is linked to the size of the bean. While this is often true – AA lots (screen size 18+) are often superior coffees – in this case we found the AB lot to be exceptional with complex fruit notes and intense and lindering sweetness. 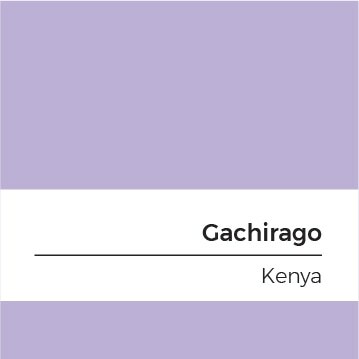 We purchased 50 cartons of this meticulously processed Gachirago coffee. We hope you enjoy this coffee as much as we enjoyed cupping and sourcing it for you!